Power Rangers Sega Genesis Game cartridge Cleaned, Tested, and Guaranteed to work! I played the SNES version when I was a kid. I needed some Genesis games, and when I saw this, I remembered all the fun I had. Turns out the SEGA version is much different than the SNES game. Instead of a beat em up style game, it is a straight up fighting game. You get to choose one of the 5 rangers. Each fight has 2 rounds. 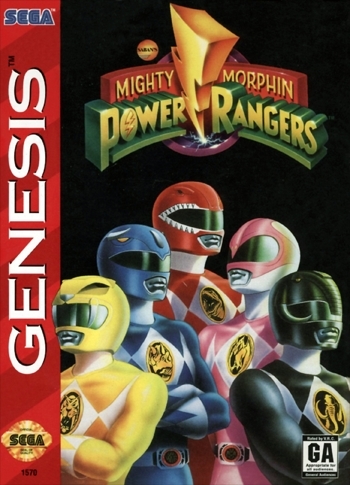 First round as a ranger, the second round as the Megazord The game is still challenging, after the second level you can unlock and fight as the green ranger and the Dragonzord. As I mentioned it was not exactly what I was expecting, but my son really enjoys it, so its not a complete loss. 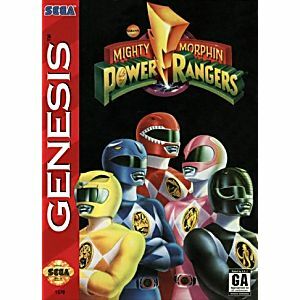 Not the best but a good fighting game and a must for Power Rangers fans old and young. Btw Great Service and prices! great game. i loved the show as a kid and the game was awesome at the time! It's a fighter, that's it. I'll be honest, this is a pretty lame game. It's a 2D fighting game starring the Power Rangers and a bunch of monsters, however the hit detection feels off, the movement feels slow and it misses what made Power Rangers actually fun. The graphics are ok, but there is no unifying style, so it just looks like a mish-mash of sprites, along with a story that wasn't thought out at all. If you want to play ANOTHER fighting game, then go for this cause that's all it really is.